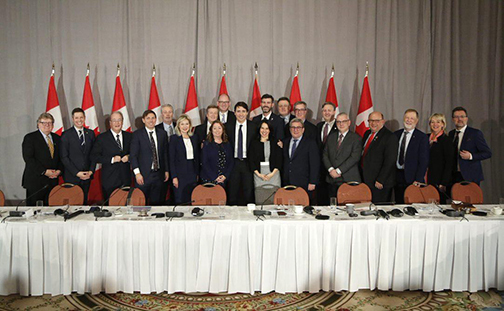 KITCHENER – City of Kitchener Mayor Berry Vrbanovic, along with Big City Mayors from across Canada, met today in Ottawa with Prime Minister Justin Trudeau, Finance Minister Bill Morneau, and other key Ministers to discuss challenges faced by Canada's largest urban centres. • empowering municipalities to build resiliency in the face of climate change. 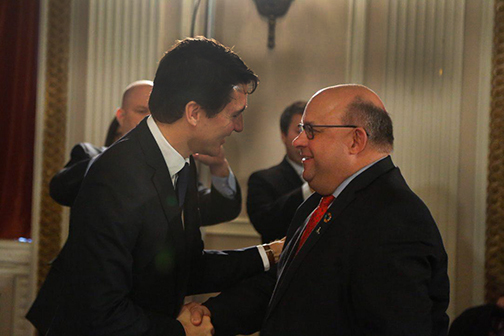 The strong federal-municipal collaboration which we have developed to date with this government has made progress on significant funding investments to tackle national challenges and support municipalities. However, municipalities are looking for increased and long-term funding certainty so they can continuously plan to build great and affordable cities for the future. Disasters like flooding, ice storms and forest fires are increasing, and have very real and unfortunate human and financial costs. Mayors are looking for a $2 billion increase in the Disaster Mitigation Fund to reduce the risks of climate change.